Do you know this saying? Last night at 2:00am, I couldn’t sleep and I was thinking about everything that had happened since November 10th when my water broke. I was thinking about how nervous I was going into surgery on November 18th. I had no idea how bad it was going to be or even how bad it was. I remember laying in the bed before surgery staring at that curtain with my stomach doing flip flops and just praying for God to help me surrender my fears. I remember John walking down the hall with me as they wheeled me away, saying he loved me and would see me soon. I remember the bright lights of the operating room, of the vulnerable feeling of being naked on the table while people hustled and bustled all around me. I remember that the anesthesiologist talked me through what was happening in this calm voice but I felt like I was being suffocated under the oxygen mask (fear and claustrophobia). He kept saying, “Sweetie, it’s oxygen. Oxygen isn’t going to suffocate you.” I heard my name being stated, what we were there to do and that is all I remember of November 18th. November 19th. Flashes of memory of what I thought was during surgery and have since figured out was the wee hours of the morning in ICU, after Nora’s birth, after my hysterectomy, after interventional radiology, after or maybe while I was bleeding out. Another piece of a memory- John, Philip, Parwin, Chris and (strangely) the hospital chaplain praying around me. Everyone’s face teary and tired and worried. Finally my first lucid memory. I wake up and feel the tube in my throat. I feel how puffy my eyes are and I feel out of it. John and Bethany greet me as though I’ve been gone forever, eyes wide and faces stressed. I look at the clock and take note of the time. 1:00. I look out the window. Daylight. I went into surgery at 10pm. Why isn’t it 1:00am? It’s November 19th. As the day goes on, I find out that sweet Nora was born and doing better than expected. I find out that she’d fared far better than I had. I find out that I was a hair’s breadth away from death. I find out that even the amazing MFM doctors were sure they were losing me but never gave up. That my family and friends and people I don’t know prayed me safely from the brink. That I’d needed twenty seven units of blood in surgery. (Three more while I was in ICU, bringing the grand total up to thirty.) That I’d nearly lost my life on November 19th. And last night, as I laid in my bed and stared at the gray blue walls that John painted for my birthday…I treasured these things in my heart. My story could’ve ended that day. My husband could’ve ended up on his own with two little girls and a broken heart, missing his wife and stepchildren because the whole structure of his life would’ve changed without me. My children’s story- Julia could’ve lost her mom at twenty, Aubrey at seventeen, Chase at fifteen, Lila at only five…what would she have remembered? Claire, only two…she wouldn’t have remembered anything except what pictures and other people’s stories told her. The same for Nora…except she would’ve carried with her the fact that she was born and then I died. I just couldn’t think about much else last night as I laid awake. November 19th, it was the first day of the rest of my life. I’m processing through all of this stuff and thinking about what God would have me do with it. I know I feel more raw, more vulnerable. I know I’m more prone to tears that come awfully quickly. I know I feel more compassion than I used to. I know I feel even more mercy than I used to. And oh, do I feel more gratitude. Every minute I have with John. Facetime with Chase. Hugs from Lila. Laughing with Aubrey and Julia. Claire climbing into my lap. The warm, soft weight of little Nora. I hold her close in the nicu and I breathe her in. She is the prize for all of this hard work and pain and physical suffering. Her presence in my world makes it all worth it. But there is more that I have gained. My eyes are opened wider to the beauty and blessing. Even as I type those words, Lila and Claire are arguing over Christmas toys which isn’t particularly beautiful but even that makes me grateful. I am here to break up the squabble. I am here to explain that we love our sister and we don’t fight in this house. My eyes can suddenly see His gifts even more clearly and I am looking even harder for them. November 19th was the first day of the rest of my life and I don’t want to miss even one gift He’s given me. Even those days when my pain level is high, when I’m so tired that I fall asleep in my chair or in the car or while I’m reading…even those days when it seems like Nora will be in the NICU until she’s in kindergarten…even those days when the drive to and from Norfolk just seems impossibly long…no matter how down I feel, I am thankful. And the changes I want to make are quite simple. I want to love more, pray more, serve more, give more. I want to walk with Jesus, pressing in close to His side, learning His ways. I don’t want to squander all of these new days He’s given me. And now, because I know you are a praying people, would you join me in some special and persistent prayers for two of God’s beloved ones? 1. My friend Laura is going for a PET scan on Friday. Laura has been receiving chemo for quite a while now. She is doing this while being a busy mom to two little ones. She has her own Nora and Jacob too and she is an amazing person. Chemo is slowing her down though and she is ready to be done and begin the first day of the rest of her life. Will you pray that her cancer is gone for good? 2. My little cousin Makayla is thirteen and she is struggling deeply with anorexia. Will you pray that she will be delivered from this? Will you pray that she would know the truths of God and how He loves her? I want to see her thrive and begin the first day of the rest of her life. I want to see her live with a free heart and a healthy body. Want a Big Heap of Crazy Joy? Today’s words will be shorter than usual. But this is what’s on my heart today and it’s kind of simple. I got thinking about the little things in life, and how when you count the small joys, they add up to Crazy Joy…and when you count the small aggravations, the opposite happens. And then I got thinking how we, as human beings, tend to count up the aggravations and not the joys. But, when you’re just on the other side of almost leaving this world forever…the little joys seem all the more precious and the little aggravations just seem, well, inconsequential. And I’m so grateful for that side effect of Nora’s and my medical trauma. Those little things that would’ve killed my mood Before, they seem like nothing compared to the fact that my eleven weeks early daughter is beautiful and thriving and growing. They seem like nothing when I am walking and talking and breathing. Nora and I…we are here, miraculously. We are here because of the prayers of the saints and the power of God. And so when I look at the little things in life that used to bring me down…they just have no power anymore. I’m alive and I almost wasn’t. So what if I spilled coffee on my new sweater? So what if there’s traffic on the way home from the hospital? So what, even, if Instagram changed it’s policies? I’m alive. Nora’s alive. We are both okay. We are both eventually going to be perfectly healthy. Counting little joys adds up to a big heap of crazy joy. Counting little aggravations adds up to a big heap of cranky grumpiness. Which one are you looking for? Are you looking for the gifts? Are you looking for the aggravations? Or are you looking for crazy joy? Which one is easier for you to see? When you practice gratitude…finding those Good Gifts gets easier and easier and the crappy things fade into the background. Don’t you see how it honors our Beloved most when we are thankful and not when we are irritable and angry? Yes, yes, hard things happen and yes, yes, we have to process our feelings. We have to. But we also have to look for the joys, for the good gifts. It’s the quickest route to a satisfied life filled with crazy joy. This is a Christmas gift you can give yourself, the people in your lives and most of all that you can give God. Get yourself a pretty journal and every day, write in it three things that you are thankful for. Maybe get this book that will change your life: One Thousand Gifts and READ it! Count the gifts, count the joys, let the other stuff go. Today is December 18. One month ago today, I went into surgery and my beautiful little daughter Nora was born. She is one month old. I have changed exactly three diapers. I have dressed her twice. I have never bathed her or fed her a bottle or nursed her. My breast milk was slow to come in and quick to go away, my body too traumatized to produce what she needs. I sleep all night long, every night. Sometimes, a whole day goes by and I’m not well enough to go see her. Some days, the only parent she sees is Daddy. I don’t know that I would recognize her cry because I’ve only heard it once for a brief moment. She’s been on earth for a month…and I didn’t touch her until she was three days old…and I didn’t see her for a week while I was sick in the hospital. Being a mom who is recovering from medical trauma, being a mom of an eleven weeks premature baby is different. But how much I love her is exactly the same. I see her for an hour most days, but sometimes I’m not well enough and I stay home to rest and recover. An hour a day…so, about 20-25 hours of her whole first month…that’s how much time I’ve spent with my youngest daughter. It is getting harder and harder to leave her behind when it’s time to go home after our visits. It’s getting harder and harder to not worry and ponder what she’s doing and how is her breathing and how is she feeling all day long when we’re not together. She is one month old today, but she’s not supposed to be here for seven more weeks. This has been a hard and beautiful season. Hard because it’s not fun to be unable to live your life like you’re used to. Hard because I need so much help and getting through every day is physically difficult and emotionally rough too. Hard because I have a newborn baby, but I don’t really because she’s in the nicu and I can’t be with her all the time. Hard because sometimes I think this would be easier for everyone if I could do it myself…but I can’t. The process of recovery is taking a long time and I don’t know when I’m going to be back to normal. It’s beautiful because of the way people have blessed us. We’ve been loaded down with blessings from others. Strangers, friends and family have all banded together and cared for my family, my home, my yard. They’ve been the hands and feet of Jesus, ministering kindness after kindness to us. Nora is loved all over the world, she is covered in the prayers of the saints. People know her and are invested in her and she is cherished. In another month, we’ll be bringing our baby daughter home. In another month, I should be feeling fine again. In another month, we should be figuring out a new normal. And until then and even after, I just give thanks. Thanks for my one month old daughter. Thanks for our loved ones. Thanks for the ones who are loving on us. Thanks for the Presence of God that is always with me. Thanks for Life. For my life and Nora’s. Thanks for every single day and every minute that passes by. This morning I can’t help but think about the world and how there’s so much evil in it and so much sorrow. Yesterday, the unthinkable happened and the lives of 26 families were changed forever. Twenty precious little souls with eternal significance were robbed of their earthly life…six more adults were taken too and I just can’t fathom it. Then, my oldest two daughters tell me that a classmate of theirs from Poquoson was killed in a car accident yesterday. So much sorrow in this world. And this is a fallen world. There is evil in it. We saw that yesterday. Every mother I know held her children a little closer and wept for their sisters, the mothers who won’t ever hold their children close again. It broke my mother’s heart. And I had to ask the question…why do I get to live but these little ones in Connecticut, Julia and Aubrey’s Poquoson classmate…they don’t? Of course a question like that has no answer. Certainly not an answer to assuage my sorrow and even my guilt. I’ll never stop being grateful that my life was spared. I’ll never stop being grateful that Nora will know me, that Claire will remember me, that my children will have their mother and John will have his wife and that all the people who love me still have a me to love. I am so grateful and I don’t understand these mysteries…the question can not be answered. So, I just prayed fervent prayers for the families of all of these ones, prayed that God would redeem it all and that He would bring comfort. And I just thought…I’m really good at believing that God works all things together for good…but I can’t see any good in the deaths of children. It’s a mystery I can’t unravel. I know He is good. I know He redeems. But I know that children dying is just horrific and that those mothers and fathers and sisters and brothers and aunts and uncles and cousins and grandparents and friends will always feel that loss. I prayed more and more for the peace of God that surpasses all understanding to fall on them…because His peace is steadfast and it doesn’t always make sense but He will give it. Let your peace fall, God. Let the Comforter come…nothing will make this okay, but God will stand with those who are hurting. Is our world just so evil, God, that there is no hope? Watch the news for five minutes…all you see is death, destruction, horror. Human trafficking, slavery, murder, thievery, abuse of all kinds…It’s disheartening and discouraging and you wonder if there is any good left in the world at all. But I know that there is. This morning, my two little girls came downstairs to heaps of gifts under our two Christmas trees. Lila said, “Where did all of this come from?” and I told her that people had heard our story and they were sad that Mommy was in the hospital so long and that Nora is still in the hospital and that those people wanted to bless our family. I reminded her of the fundraiser that’s happening this morning, where my loved ones and friends and people I don’t even know are gathering to raise money for our hospital bills. She went back to studying the presents but my mind went back to remembering all the kindnesses that have been shown to us not just since I went into the hospital but since the summer when I first went on bed rest. We’ve been amazed by the kindness not only of our friends and family, but also of those we don’t even know that have heard our story and reached out to us. I am thinking too of the nurses at Norfolk Sentara who have consistently showed me so much love and kindness. The ones who took care of me during my two long stays. The ones who care for my Nora even now. The ones who remember us from visit to visit, who are rooting for us, who are praying for us. 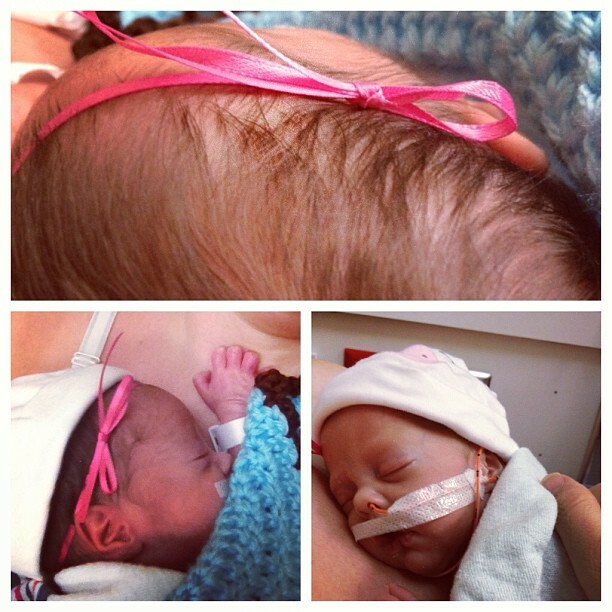 The nurse who put a bow in Nora’s hair just because I was coming to visit. They are Good. They are Loving. They give with Generosity. And maybe our world does have more Evil in it than Good but, Beloved Ones, I think we can change that. We can be the ones who show love and generosity and kindness. We can share Jesus by being like Jesus. It’s been so humbling to be at the center of his favor, to be experiencing such an outpouring of Love, Kindness and Generosity. Our cups are so full they are overflowing and we are swimming in blessings and favor. All of this outpouring has allowed us to be more generous to the orphanage, has freed us to be able to focus on my recovery and on Nora’s nicu stay and on the rest of our family. We’ve been given such a gift- to see the body of Christ come together and to see the floodgates of heaven opened wide and poured out on us…I am awestruck. The body of Christ is beautiful. The church is beautiful. Can we become a people who bring light into darkness? Can we offer Love, Kindness and Generosity even when it’s hard? Even when we don’t have much to give? When we are so empty that the smallest kindness offered seems like an insurmountable effort? We can. We can because when we do, it multiplies. When you share Love, your heart grows and is filled. When you share Kindness, Kindness returns to you. When you share Generously…the Lord returns and returns it more and more. That’s the way God designed it. When we live like Jesus, Love and Kindness and Generosity multiply. And don’t you want to be part of that? Don’t you want to bring His Light to this dark, dark world? I do. I want to be the sort of person who Loves Big and lives a life of kindness and generosity. I want to bless. I want to pay it forward, because how could I not? We’ve seen the Love of Christ in the community that has surrounded us. This morning, I still mourn for those families who’ve lost loved ones. This morning, I still pray fervently for God’s mercy and comfort and peace. This morning, I know there is nothing to say or do to help ease that pain. Nothing. But there is plenty to do to bring Light and Love into this world and I promise God and everyone else that I will LOVE big, I will practice KINDNESS, I will give GENEROUSLY. When Julia was born twenty years ago, she was placed in my arms and I held her and kissed her warm head and I knew her. I had an instinct for her that I could trust. And I seldom second guessed myself. I don’t know if that was the cockiness of a nineteen year old or just me settling into a role God made me for or both…but I always trusted my gut instinct when it came to Julia. Same with Aubrey and with Chase. I was twenty one and twenty three when they were born, still a young mother but a mother filled with confidence. I knew what they wanted and what they needed and I trusted myself with these precious little creatures. I believed in my abilities as a mother. Lila, then Claire…they were both so different from my laid back, easy going first three. It was tougher. I was older, I was more of an over-thinker but still…I knew them instantly and trusted my gut to know what was best for them. My baby philosophy is that you can’t really hold a baby too much…but it turns out, you can hold a preemie too much. They have immature nervous systems and can get overstimulated. My philosophy is to feed on demand when they are small but my baby can’t nurse or drink from a bottle yet. She is fed through a tube, every three hours on the dot. She’s going to have to learn to drink from a bottle. And, you kind of get in the habit of changing your baby right after a feeding but a preemie baby needs to have time to be still and digest. These are things I didn’t automatically know. I am in an odd position of not really knowing what’s best for my own baby. There are so many things I’ve needed her wonderful nurses to tell me. I feel like I learn something new every time I go in to the nicu. The nurses are knowledgeable and kind and they encourage us to do what we can for Nora. And I do, but truth be told, I’m kind of intimidated by my little 4lb. 2oz. baby. I’m getting more comfortable with dressing her and changing her and taking her in and out of her isolette. I’m okay with unhooking her feeding tube to get her shirt over her head. I’m more than happy to kiss her face right off and pat her sweet little back. But I don’t always know what’s best for her…because she’s different than all of her siblings. I am full of questions when we’re in the nicu and I want to learn all I can. She has to take caffeine in order to keep her breathing regular. She has to have regular testing to make sure she’s progressing okay. She is so small that it’s hard for her to keep herself warm. She has alarms on her body to keep track of heart rate, breathing, blood pressure. I asked the nurse last night, only half joking, if we could take the monitor and some nurses home with us when the time finally comes. Because if I’m being honest? I’m excited for that day and very, very nervous for that day too. Even as much as Nora has grown, all of my other babies were at least twice her size, some more than that. (Lila was 10lb. 4oz.) Will I know what to do with her when I get her home? And so I’m thinking about all of that this morning. I’m drinking my coffee and thinking about Nora getting her dose of caffeine. I’m looking at my Christmas tree and thinking about the lights from Nora’s monitor. I’m snuggled in my comfy chair, thinking about Nora swaddled in her isolette. Will I develop an instinct for her like that one that just came for my other five? I love her so much, just like I loved them…will I know how best to take care of her? And then I think about God and how He’s promised to give us new mercies every morning and grace for whatever we face. I think back to all that has happened over the past month and I know that He has shown up. He has given me grace to handle waters broken at 28 weeks. He has given me grace to handle recovering from a traumatic surgery. He has given me grace to endure 22 days in the hospital, countless uncomfortable pokes and procedures, antibiotics that have wrecked my stomach and a very slow recovery. He has given me grace to accept where I’m at right now- a little broken still but on the mend. He has given me grace and met me right where I am and ministered to my broken body as well as my humbled and broken spirit. That’s what He does. So I can stop looking ahead and worrying about what it’ll be like to bring my beautiful and terrifying tiny little baby home. There will be new mercy for that day. There will be a grace and an equipping that will come. He has been with Nora every step of the way, He has been with me every step of the way. New things are scary. Uncharted territory? The unknown? Scary and intimidating and I wonder to myself…do I have what it takes to do this well? Can I really be trusted with this fragile and perfect little love? And the answer is yes. Because God is with me and with Nora and He is for me and for Nora and He will guide us and give me what I need to be her mommy. She is a treasure, a blessing and I’m so honored to be her mommy. I still cry a little bit every time I hold her because she and I have been on a journey together and I’m still awestruck that we’re both here. It’s our song- I’ve been singing it since the very first pregnancy complication. I trust the One we sing about to bring those new mercies, to make all things work together for our good. Last night I stood in my bathroom after my shower, scrubbing at graying remnants of surgical tape from my most recent hospital stay. I thought about scars and how some scars you can see and some you can’t. And I think about Jesus and I think about restoration and how He loves to redeem. I don’t want to go through this hard, hard thing and not learn. I don’t want to go through this surreal season and not change. I don’t want to miss the refinement that He is sure to do if I remain open and shun bitterness. And I do! I don’t want bitterness. I’m not angry, I’m not what iffy. I’m raw and I’m emotional but I’m in love with my life and my people and God has stood with me again in the center of the flame. And this was a big flame. I don’t want to waste the opportunity for God to use this for good. He will, His word says He will. But I think we shut Him down sometimes. We get angry and bitter at our circumstances and we miss the good He has to offer. This morning I wake thankful. Thankful for the daughter that has taken on responsibilities beyond what a twenty year old should have to take on. Thankful for her happy heart as she serves her family. Thankful for a second daughter, who laughs with me and does her fair share too. Thankful for the sister that could run the world, given the chance. Thankful for my husband who understands what loving his wife and children like Christ loved the church means. Thankful for my three little girls, Lila, Claire and Nora. Thankful for reading stories to my little ones and watching the lights on the Christmas tree flicker and coffee with my sister and Julia and every other good gift that My Beloved bestows on me. And so, I shuffle because I have pain and I’m tired and run down with anemia from all the blood transfusions. I get nauseated easily. I fall asleep at odd times. I cry almost all day. (The good kind, usually.) I’m fragile and battle worn but I. Am. Here. I am loved. I am blessed. I am thankful. And I am changed. In many ways, recovering at home is almost harder than being in the hospital. In just as many ways, recovering at home is a lot easier than being in the hospital. What’s hard about being home: No doctors at home. Well, my sister and my husband but they don’t have access to as many meds and testing stuff and in fact, don’t even have medical degrees. No adjustable bed. I miss that adjustable bed. It made sleeping a lot easier. No Nora. At the hospital, it was just a quick walk down the hall to see her. I could go a couple of times a day. But, at home, it’s an hour of travel time there, an hour or two visit and an hour travel time home. That trip simultaneously wears me out and is the highlight of my day. And the hardest thing of all? Seeing stuff around that needs to be done and feeling completely powerless and useless. I can’t help. And anytime I try to help, I get in trouble with Dr. Sister and Dr. Husband. What’s great about being home: Being with my family. I love being in the midst again. I love being with my kids and seeing my nieces and my sweet, precious little nephew. The coffee is much better here. It’s easier for people to visit me, so friends and family drop by and brighten my day all the time. My new chair…how I love my new chair. It’s almost as good as the adjustable bed. It feels more like I’m part of life at home. It feels like this might one day be over and I’ll eventually find a new normal. In the hospital, you feel like a patient and the road seems awfully long. I think it’s really sinking in what happened to me, what it could’ve meant. Because I can’t remember much of what happened, it’s like hearing a story of something that happened to someone else. I was unconscious while my loved ones processed what losing me might mean to their lives. I was out of the woods by the time I woke up and I was never really afraid. I didn’t have a moment of seeing a bright light or of hearing Jesus call to me. I didn’t know I was in such peril until the danger had passed and I was awake. But now…as I get better (sloooooowly get better), it’s starting to sink in. My children almost lost their mother. The little ones wouldn’t have remembered me really. Lila may have remembered some things, but Claire wouldn’t have and Nora would never have met me. The older ones, who have already experienced a lot of loss, would have remembered much. And there would’ve been a me shaped hole in their hearts. I would’ve missed their weddings, their babies, their lives…My husband’s whole family would’ve changed. As a stepfather to kids 1-4, what would that have meant for the shape of his life? Raising two tiny little girls all by himself…being without me…I would feel like half of a person without him, and I know he feels the same way about me. He is part of my Joel 2:25 and fills my heart…we are two pieces of one whole. And then I think of my sister and how we end every day by texting or facebook messaging and how she is my sister and my friend and how my life would seem deflated and empty without her in it. My nieces who I love and who love me, my nephew who is like pure sunshine, my brother in law who is more like a favorite brother, my parents who are friends as well as Mom and Dad, my extended family of aunts and uncles and cousins and in-laws, all people I adore…my friends, my amazing friends…I could’ve just as easily been gone on November 19…but the prayers of the saints snatched me back. My life was spared. Last night, tears flowed down my face as I watched John and the kids put up the Christmas tree. I’m here to see that, to be a part, even if I’m just in my chair watching. And a handful of paradigm shifts have happened. One, small stuff is so inconsequential. So someone broke something. So a kid wants a bite of my food. (This used to drive me NUTS!) So there are toys on the floor and shoes all over the walkway. I might ask someone to clean them up, but it’s just not a big deal. Love Well, Love Big, Love Each Other…I keep saying these things to my kids because you just never know. Life is much more fragile than I ever imagined it was. Two, gratitude for every little thing is even more crucial than I realized. And I know I’ve been crowing about gratitude since last January but it runs so much deeper in me now. I was almost gone from this world and the little things like good coffee and tiny arms around neck and laughter all seem so much more precious. Three, I need to give back. As the gratitude overflows and my cup runs over…I just want to get better so that I can go and do for others as others have done to me. So many people- some who are friends and some I don’t even know- they’ve cleaned my house, taken care of my yard, babysat my kids, brought over groceries, meals, Christmas gifts, K-cups, people have given money, gas cards, gifts cards, have held fundraisers and have prayed and prayed and prayed. I can not wait to be well enough to do the same for others in need. It’s been wonderful to be so well loved and held through all of this. It makes it possible for us to all focus on each other and to focus on Nora and my recovery. All these saints…they’ve given us this gift of having only each other to focus on. Our emotional resources are somewhat depleted and not having to worry about the basics of life has made it all so much easier to bear. Four, don’t wait to encourage, to share love, to tell someone how much they mean to you. I remember right before my surgery, I was scared. I was staring at a curtain in my room and I thought to myself, “I don’t want these moments to be the last moments of my life. I’m just staring at this ugly curtain, feeling afraid and really thirsty and I want another chance to enjoy the world and see beauty in it. Not this dumb curtain.” Now, I think I want to maximize every moment I can. I want to really see the good gifts in my life. There is so much good in my life. So, yes, recovery is hard. I have pain. Painkillers help but don’t take it away completely. I have no energy and no stamina. I cry regularly and without warning and sometimes really hard. My emotions are raw and fear for my health is something I have to pray away each and every day. I miss Nora and wish that she would just get big and learn to eat already so that we could have her home. She has a long road to go first and being so far away from her is really hard. Reconciling the missing her with the knowledge that she’s better off in the special care nursery is hard. Yes, this is a hard season. But I’m here and I’m alive and my household buzzes with noise and wild children. I’m here to be with my husband and my kids and my sister and my family and my friends. I have learned that when you love someone, you’d better tell them. You’ll never regret telling someone who special they are…but you might very well regret not telling them. I see silver linings everywhere, little gifts God has placed on this hard journey to remind me that His hands are on my life and He is with me. He will restore the years that the locusts have eaten. I know He will.